So, this dude who writes about video games for Forbes (hey, the topic is very important to businesspeople) thinks that Dark Souls is the worst video game ever. And that Dark Souls II is also the worst video game ever. Only, by his own admission, he’s put close to 400 hours into Dark Souls, finishing it multiple times. And he’s deep into the sequel. I think he may not know what worst means. Now, he does make a case. He thinks the game is too hard, too inscrutable, too complex. And famously, Dark Souls is a game where you die over and over, where enemies respawn, where barely anything of the complex gameplay is explained. 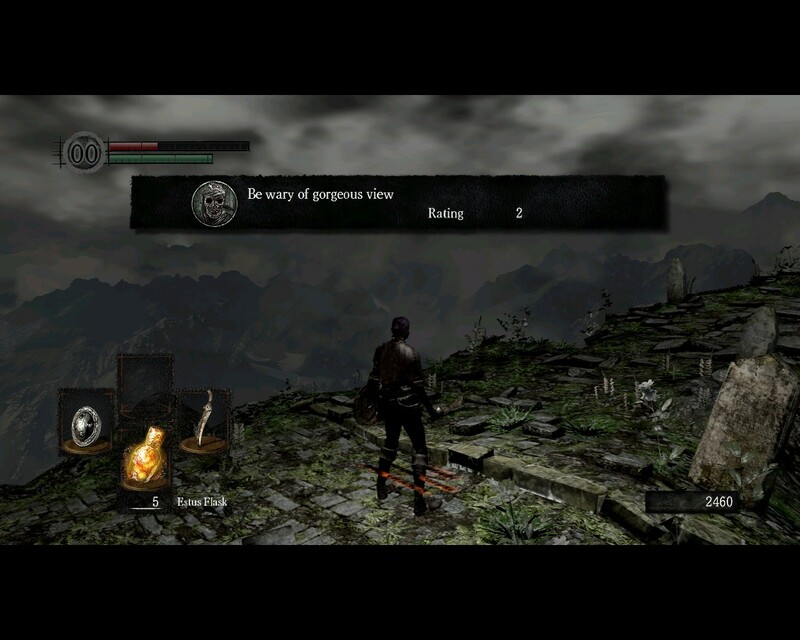 Now, that was a generic ‘you’… in fact I didn’t find myself going back to Dark Souls. Partly, I know I’m easily frustrated by unforgiving checkpoints and games you can’t play without a wiki. But knowing it’s probably not my kind of thing, I just don’t play it, and if others like it, I don’t begrudge them their fun. Also, I have like four Medieval Fantasy Games queued up– I’m really kind of tired of Medieval Fantasyland. Basically you’re having fun when skill and challenge are balanced. 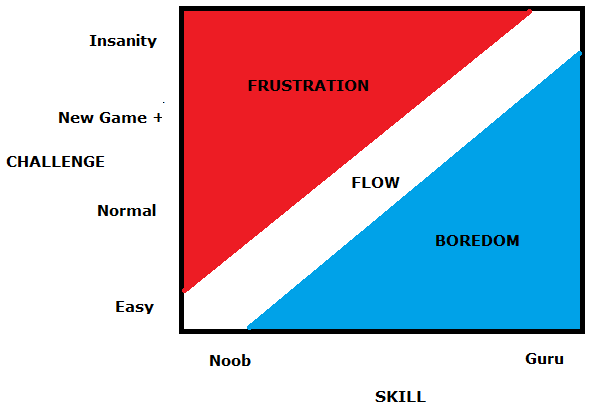 If the challenge is above your skill level, you get frustrated; if it’s below, you get bored. Naturally, the balance changes as you learn the game, so challenge needs to ramp up over time. There’s another factor that changes the boundary lines, which we might call explorativeness. Sometimes we want to relax with something we know very well– that’s when I replay Half-Life 2, or go beat up thugs in Arkham City for the nth time. You can think of this as the top part of the blue area becoming an attractive place. Other times we want novelty and even a little confusion– we want to explore the bottom of the red area. What is the worst video game? Obviously, one that you wouldn’t play, and ideally wouldn’t even buy. There’s a few games in my Steam library that I’ve played for about 15 minutes. But they’re not even the worst; surely the actual worst game would be something simultaneously dumb, tasteless, boring, and crash-prone. It was probably made by a particularly unpleasant third-grader and it’s hardly worth talking about. Is there a category of enjoyably awful games, like MSTable movies? Probably, though this sort of enjoyment is more about the improv skills of you and your friends than it is about the game itself. More often when we hate a game, it’s not that it’s bad, it’s not quite what we want. If we didn’t want it at all, we wouldn’t even buy it. But geeks have a special hatred for things that fall short of our geeky expectations. The Dark Souls guy probably falls in this category: if he was more self-aware he’d probably say that he got a lot out of the game– it was close to what he wanted in a game, it just wasn’t close enough, and he’s angry about it.